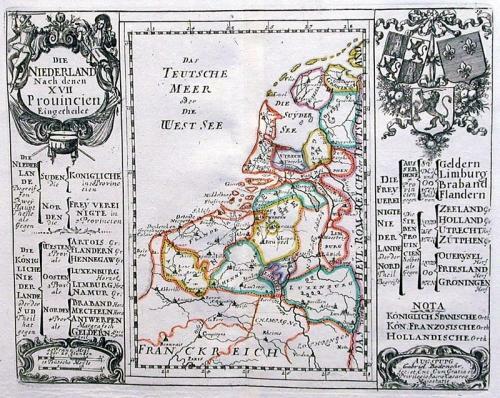 A map of the 17 provinces of the Netherlands separated by outline coulour. Different colours are used to show the possessions of Spain, France and Holland. Scarce. Fold(s) as given.